We are going to be holding literary contests for our social media patrons. Once a month we will have a topic for your creative talents to illustrate. Prizes will be awarded to the most original and imaginative entries. Calling all literary personnel (bookgroups)! We are looking for Bluestockings. Hint: Check out the Friends Bulletin Board in the library or the Friends and Friends’ Bookstore blog. 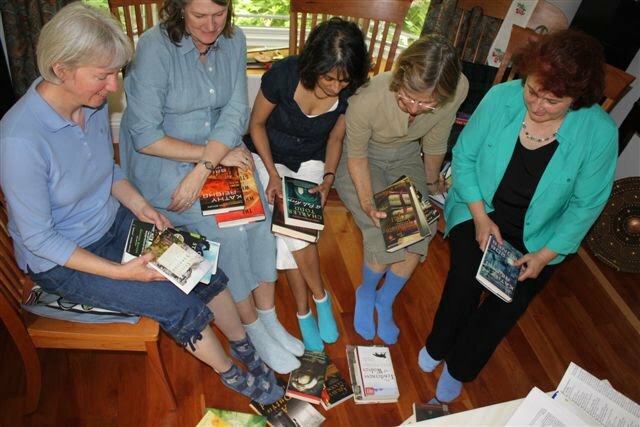 Submit a photo of your favorite Bluestocking(s) with details of what you’re reading. 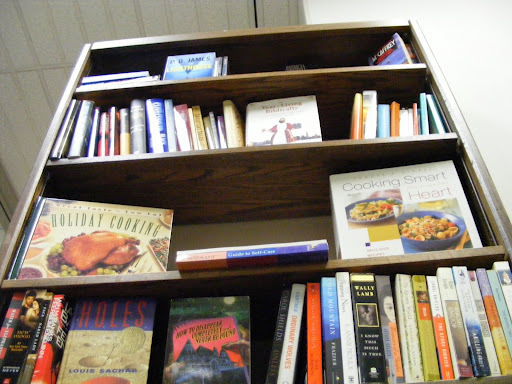 The best entry will win a book of your choice from our prize bookshelf. Entries must be submitted by June 9, 2010. Set your thinking caps for July’s contest, which will be favorite beach reads. The bookstore will have a display of beach reads if you need any. All entries will be posted on the Friends and Friends’ Bookstore Blog where positive comments will help determine the winning entry. Photographs must be original and all winning individuals must agree to sign a release form for publication within our newsletters and social media sites. Winning entries may be published in newsletters and posted on our social media sites and displayed in the Library/Friends’ Bookstore. Winner(s) may remain anonymous if they so choose. The content of the entry must be suitable for viewing by an audience of all ages. No more than one entry per person per contest. Only one prize per entry. The prizes consist of donated books; a variety of children’s, young adult, fiction, non-fiction, etc. will be available to choose from. Every effort will be made to find a book of the winner’s choice. If your entry contains any copyrighted material the entrant will be responsible for securing the licensing rights and giving appropriate credits. A qualified panel will review all entries and decide the contest winners. 2. Does the entry relate to the topic?